Nothing looks better with your watch than a stainless steel bracelet by Michele... until you try out a stainless steel bracelet with diamonds! 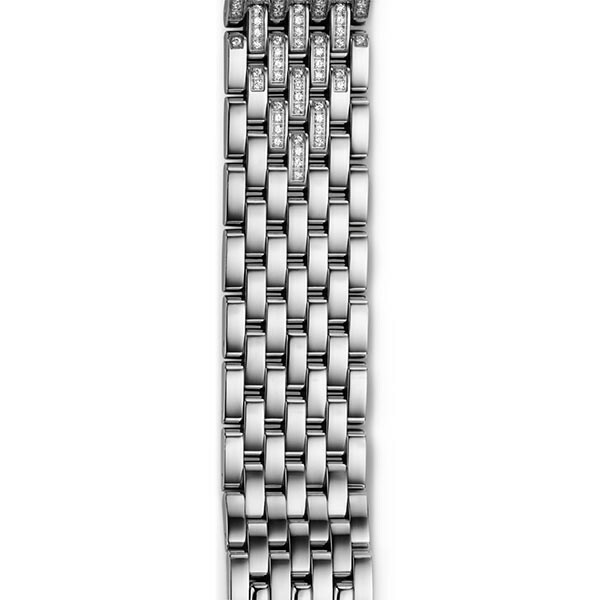 Michele Watch is the embodiment of luxury with this 7-link taper bracelet that showcases 142 dazzling diamonds. Whichever Deco collection watch head you choose to wear it with, you'll be sure to turn a few heads. JR Dunn has a 10-day satisfaction guarantee for all watch straps.